Here’s a story about going from being broke to big time woke. FAME 2014 was one of the various projects I started in uni. A creative event that allowed creatives in the music and fashion industry to come together for the coolest mashup. Or at least that’s what my intention was. I got mummy involved and together we started writing business proposals and doing all sorts to make my dream come alive for December 2014. My mum told me she was going to make me a superstar. She believed in me and that was all that mattered. So we poured out time, energy and money into making my dream a reality. Long story short, it didn’t work out as well as we thought it would and we probably [definitely] lost more than we put in. Mum put so much of her savings in and I put the little I had as well. The beginning of the waterfall of my savings as my “little” was really my everything. It was devastating but bless her heart, and all mothers really. Who wouldn’t do everything to make their kids dreams come true? Signed up for all the job opportunities I could find on campus: From open days to one off campus events to faculty conferences where students were needed to assist, I was your go to girl. Thankfully the contact hours for my course was between 2-5 hours a day so the rest of my day was packed with everything else that earned me money. I put my social life on pause: I really do love hanging out and quite enjoy an evening out with friends but once I came face to face with my bank account it was easy to decide no more. No more birthday dinners, no more Cheeky Nando’s and definitely no more Two for One Tuesdays with Dominos. You won’t believe me but stopping all those alone gave my savings an easy £100-200 a month boost. No more Buying unnecessary clothing items I didn’t need and I couldn’t afford: All the once a month shopping spree at New Look/H&M/River Island had to stop ✋? This one was probably the hardest because I was a bit of a shopaholic and a proud one at that seeing as I was building my very own fashion empire (my idea of uni was dressing to lectures like Blair Waldorf, don’t judge me ?). Cutting back clothes and shoes added another maybe £100 a month. Looking for alternative things: you know you’re at an all time low when you go from buying Heinz ketchup to being OK with Tesco Value. I told myself it was for a while, till things got better and one day Heinz will resurface again in my pantry. A little shift in your shopping brands and indeed you save up to £50 on your monthly groceries! Internship: Aside the many professional future benefits of getting an internship, the financial aspect can be very exciting. I decided being an entrepreneur could wait and managed to snag a nice internship in a start up in London. The pay was as it should’ve been for a second year with little experience, but was definitely more than I thought I would earn. This was where the bulk of my savings came from. Living and working in London had its perks but just as much as it’s costs. I lived at home so thankfully I saved on a lot of expenses. However it was summer and as I said before I’m always down for a good time. Nevertheless seeing as I made it that far, I decided to save 50% of my salary, tithe 10%, costs and expenses 25% and treat myself with the remaining 15%. Because all work and no play makes Bukiie a very dull girl. AND ding ding ding, we have a winner. Slowly but surely I rebuilt and doubled my savings. Was it hard? Yes. Did I cringe everything I walked past Zara? Of course. But was I better off from all the sacrifices I made? Absolutely. I’m not one to tell people to watch their every penny but I’m all for short term sacrifices for long term gain. 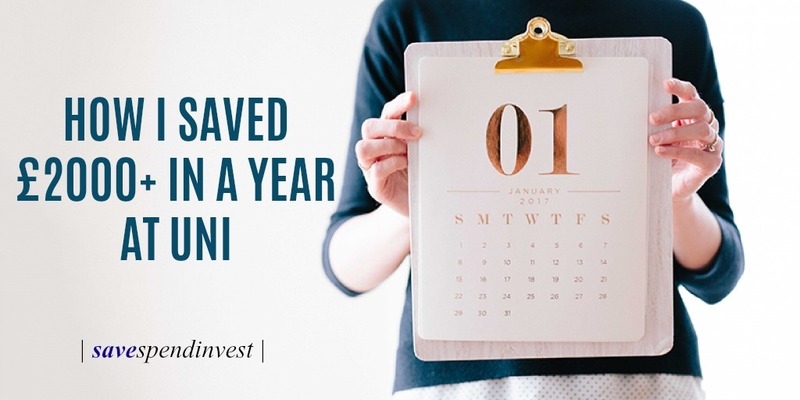 There were setbacks along the way and some emergencies that made me dip into it (before I knew what an emergency fund was). Looking back, I can laugh and smile at all the tricks I was able to pull out of the hat, but back then it was a struggle. Two plus years later and out of that very same savings I’m travelling around Europe, dressing like Blair Waldorf because I can afford to look that cute and definitely have Heinz fully stocked in my pantry in my apartment. My account balance is appreciating and not depreciating and it feels great. I’m sharing this because more university students need to graduate with a healthy bank balance not a draining one. We need to learn how to make money from all sides, and very importantly, save that money. Building true wealth is not just about earning or spending, it’s about both. It’s earning more, spending less and investing that gap. The more you increase that gap the better for you. It can seem like such a long way off for someone with no or little savings but if I started with £100 or less, then you can start wherever. Keep pushing, you can do it. Beautiful piece, I can relate a lot to this. ah thank you, glad you could relate!